Mary Jo Brock graduated with a Bachelors Degree in Nursing from Texas Christian University. She began a long time continuous career in Critical Care Nursing with an emphasis on cardiovascular patients. Numerous roles have included bedside nursing, teaching, and leadership. She received a Master of Science degree in Nursing from Texas Woman’s University in 1991. She is the former Director of Cardiovascular Services at Harris Methodist Fort Worth Hospital in Fort Worth Texas. 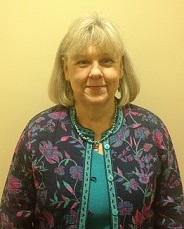 Mary Jo retired from her director's position in 2016. She, along with several other certified teachers of R.J. Buckle Associates courses, is proud to be a member of a special group formed in this hospital. The group is called Healthy Healing Opportunities (H2O) and was created to support and advance the use of complimentary therapies in conjunction with conventional western medicine to enhance patient outcomes. Mary Jo is a Licensed Massage Therapist (LMT) in the state of Texas. She is also a Reiki Master and has completed Dr. Brenda Davies’ two year course in spiritual healing. Other passions are organic gardening and beekeeping, the outgrowth of which is a small honey production business. Her aromatherapy certification study was on the use of essential oils to reduce mite infestation in bee colonies. Mary Jo completed R.J. Buckle Associates Aromatherapy and 'M' Technique® Course in 2004 and the Instructor for Aromatherapy and 'M' Technique® Course in 2005.